For a large number of people, accessibility is a part of everyday life. Accessible designs, devices and services are depended upon by millions of disabled people so they can interact with the world in much the same way a person without disabilities does. For everybody else, accessibility is something we have passive experience with. We notice accessible ramps and seats, but don’t engage with or give them any thought. For people without a disability who also don’t have a disabled friend or family member, it’s very easy to take accessibility for granted, which is probably a safe assumption about most people reading. As the world becomes increasingly digital, society has adapted in a number of ways; whether it’s social media becoming a major component of business strategies or phone apps shoehorning their way into our everyday routines, it goes without saying digital technology is rapidly changing the way we live and work. Lost in all this accelerated change, however, is the fact that the disabled community wants and needs to engage with the digital world just like everybody else. Most people have a basic knowledge of accessibility features like wide doorways, designated seating and parking, and accessible pedestrian signals. But be honest: have you ever given accessibility on the web a second thought? 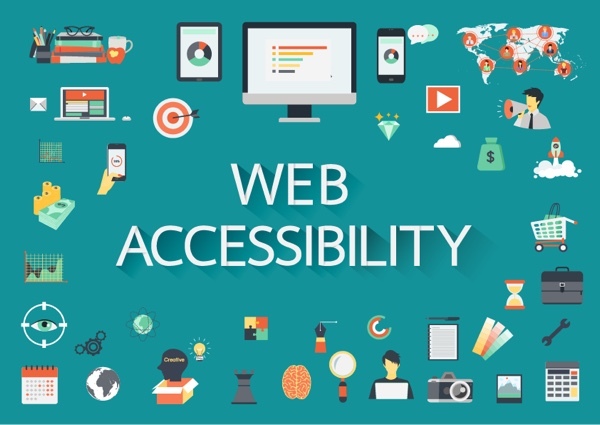 Do you know what some of the basic web accessibility features are? There’s a good chance most people answer no, which we won’t say is okay, but it is the current reality of web accessibility – which is exactly why we’re going to explain why it’s time to stop overlooking website accessibility. Much like the real world, accessibility on the web is about inclusion. It’s about realizing that in the United States, one in five adults have a disability that impacts their use of a standard website. As compassionate human beings, this fact matters because we cannot forget about such a huge number of people – they absolutely need our help to participate in the digital world. And as business owners? 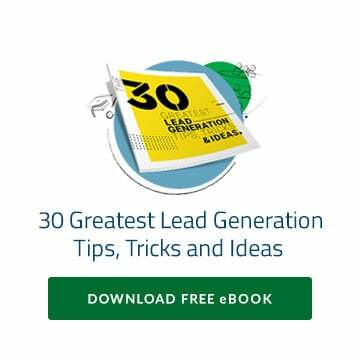 Most businesses can’t succeed while ignoring a segment of the market with 53 million potential customers in it. In most cases, we believe businesses don’t realize they’re excluding the disabled community. It just happens, both because businesses don’t actively think about accessibility when they develop and execute their digital campaigns, and the sheer complexity of the issue. Accessibility in the digital world is hard. A case where a blind customer encountered a point of sale system that did not have tactile buttons, which meant in order to make a purchase, the customer had to forfeit their privacy and tell the cashier their credit card PIN number. The fact that big, well-known brands are struggling to build accessible digital properties is a good indicator of the depth of this issue, but there’s only one way forward: ask questions, have conversations and diligently work to raise awareness about web accessibility. The first step in making your digital properties more accessible is understanding there is a real issue with accessibility when it comes to technology and the web. If you’re here and you’ve read this far into the post, you’ve successfully accomplished the easy part. Now it’s time to start making a real difference with your own digital properties and hopefully help others do so as well. As our other webinar guest Chris Hofstader says, “the path to finding remediation for accessibility issues is chaotic.” Yet it’s because of people like Chris, an active member of the accessibility community and author of what’s thought to be the most popular independent blog about blindness and technology, that we even have a path, no matter how chaotic it might seem. The WC3 and ADA sites are the gold standard for web accessibility information and resources. Although there aren’t yet a specific set of web accessibility regulations for businesses, the general requirements set forth by the ADA have already been used by courts to demand accessibility compliance from large brands (as we discussed above). More stringent regulations have been proposed and are coming soon, which gives businesses all the more reason to get familiar with and comply to ADA and WCAG 2.0 standards. Of course, before you fret about web accessibility issues, it makes sense to get an idea of how well your digital properties currently comply with ADA and WCAG 2.0 standards. To help you on the quest toward full web accessibility for all your properties, we’re giving away a free custom scan of your website, designed to give you a high-level view of your current state of digital accessibility. This report is a limited time offer, so please ensure that you submit your request for the report within the next 30 days (by February 13th). As you go forth into 2017 and begin implementing your digital campaigns, always remember to keep accessibility issues in mind, even if they don’t directly impact your life! Get a free custom scan of your website right now!